A Report has just been agreed between the CEO of the South South West Hospital Group and the CIO which sets out an ICT Plan for the Group over the next three years. This Plan represents the collaborative work of Staff in both the Group and the OCIO. In early 2015 the Group took the initiative, together with support from the OCIO, to carry out a current system assessment in order to establish the position of ICT within its area. This approach was deemed essential before any future plans could be discussed. An ICT assessment was agreed in August 2015 between the Group and the OCIO. 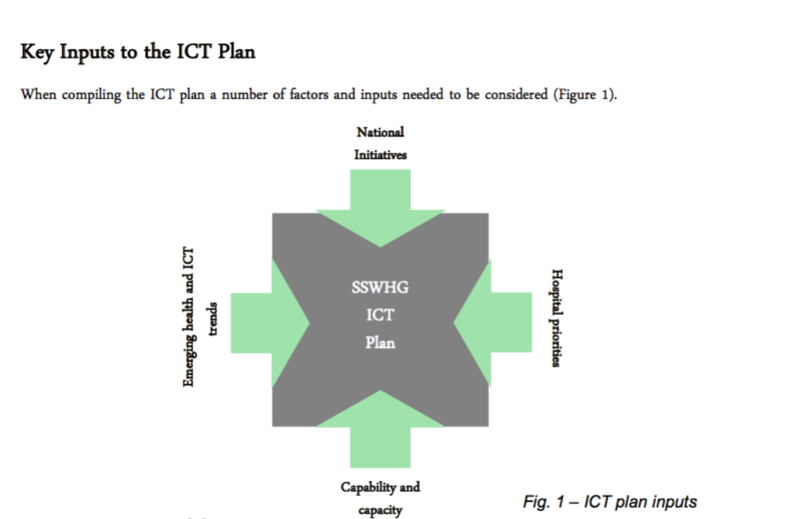 Further work was sanctioned to create a three year ICT plan for the Group as well as an ICT organisation model and supporting governance arrangements. This work has now been delivered as part of the Report. This Report has not only delivered on the ICT Plan but has also fostered an increased awareness of ICT through the significant engagement that occurred between Clinicians, Hospital Management and ICT staff while working on its delivery. Essentially, this Report is a business plan for ICT and recognises that what needs to be achieved is bigger than ICT itself. It also recognises that achieving value from ICT enabled initiatives is a collaborative endeavor between Clinicians, Business and ICT staff. Hospitals need to incorporate ICT within developments in care. Also clinical, business and ICT teams should work in partnership in Virtual teams across the Group. The Group and the OCIO need to work closely together to ensure the strategic development of ICT within the SSWHG. Enterprise Information Management: Providing better business intelligence to facilitate better decision making. Clinical Portal recommended in advance of the national Electronic Health Record project: There is an opportunity to reduce multiple logins and consolidate patient records to improve outcomes and productivity. HR & eRostering Systems: A group wide HR system that is linked in with an E-Rostering solution will reduce administrative cost and improve control. Resourcing the proposed new initiatives while at the same time maintaining the existing systems and infrastructure is a major challenge for the Group. Existing ICT staff are on a knife edge of sustainability and the required staffing from the clinical and business areas is significant and exceeds that from ICT. Additional resources will be required if the Report is to be implemented in full. 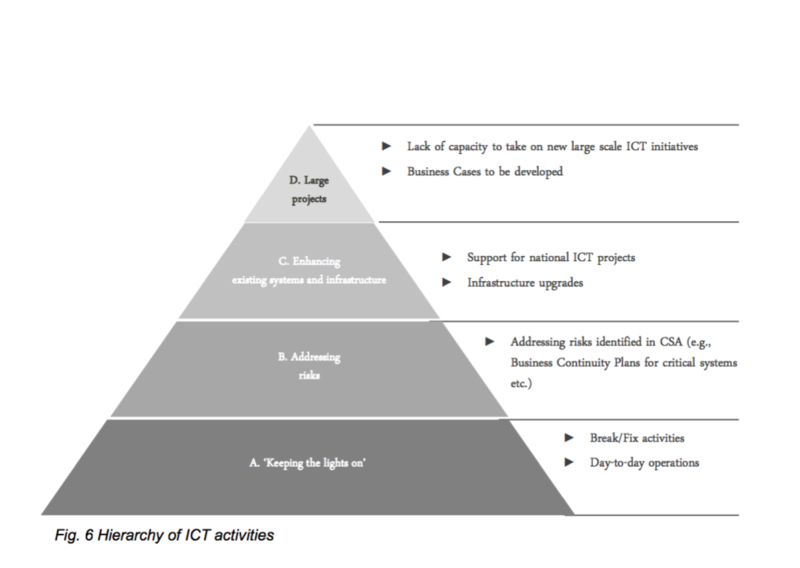 Formal and robust governance structures are recommended as well as program and project management approaches in order to support the strategic and operational development of the ICT within the Group. The SSWHG is in an enviable position of having one of the most complete application environments. It has a single PAS in operation throughout the Group and it is felt that this should deliver better information and provide support for enhanced decision making.